I currently work and live in a town where air sirens go off every night to tell the errant children that they need to go to bed. Twice a night, actually – the first siren is a warning, the second a ‘get to bed now’. I love watching the tourists’ faces as they register that the loud wailing is, in fact, an air siren. First confusion, then alarm – and then I get to tell them that we are not going to war, nor are we being warned of an incoming tsunami: it’s just curfew for the kids. The air siren (and the inevitable bewilderment that it evokes) is one of my constant joys in El Nido, and it perfectly encapsulates what I love about the attitude in this place: something equally fearful and haunting transformed into a source of laughter and light. I’ve now been in the Philippines for almost 3 months, and for a country that wasn’t on my initial itinerary, that is quite a long time. It is also longer than I’ve spent anywhere else on this trip. Despite an almost comical urge to justify staying, to others and to myself, there is no one dominant thing that keeps me here. I am, however, drawn to the composite of Filipino paradoxes – of which there are many – and somewhere in the heart of my inertia lies a desire to understand and experience them firsthand. One such oddity is obvious to any traveller who sets foot in the country: despite the fact that all of the signs in the Philippines are in English, very few people speak it fluently enough for you to actually arrive at your destination. And thus, you know what you need to do or where you need to go, but cannot for the life of you get there – because everyone is giving you a winning smile and nodding enthusiastically and gesturing vaguely…but not really understanding a word you say. There are exceptions to this rule, of course. Bigger cities such as Manila and Dumaguete are usually reliable for even the most panicked orientation needs and the tourist offices peppered erratically throughout the country will (mostly) point you in the right direction. And then there are those Filipinos who – usually through marriage to a Westerner – have both a nuanced, complex English vocabulary and a healthy dose of sarcasm. One of those special people is Becky, manager of El Nido’s The Alternative Restaurant & Bar, and she is the reason I ended up living here for the next few months. Note: the Alternative that you see her has been shut down, but the same lovely owners run The Alternative Palawan at this site. The Alternative in El Nido town itself is no longer run by Becky. But she did build beautiful private beach cottages in the same style as the old Alternative you see here, so if you’re looking for similar hospitality head there instead! I initially stumbled upon The Alternative after my horrendous boat ride from Port Barton. 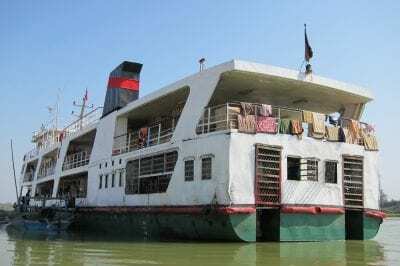 Waterlogged, I left my bags with fellow travellers and began traipsing up and down the beach in search for accommodation within what I thought was a reasonable budget. While there are a slew of hotels, resorts and B&Bs; to choose from in El Nido, most cater to vacationing couples from Manila or foreign honeymooners, and rolled their eyes at me dramatically when I said I was “only one”. Finally, after combing the length of the beach, I walked into The Alternative – which the Lonely Planet falsely said was a restaurant and not a hotel. They just so happened to have a spare room for 250 pesos (5$), which I ended up sharing with Kaja, a willowy Slovenian that I met in Port Barton. Exhausted, I put my bags down and wandered around the premises, and it quickly dawned on me that I might never leave. The Alternative has 2 floors, with the kitchen, reception and 4 rooms with private baths downstairs and 3 rooms with a shared bath upstairs. Also upstairs? The most inviting bar/restaurant area I have seen on my travels. The floors, rafters and furniture are built from dark wood, with handcrafted wooden benches and tables strewn artfully (and feng shui-ily) about. 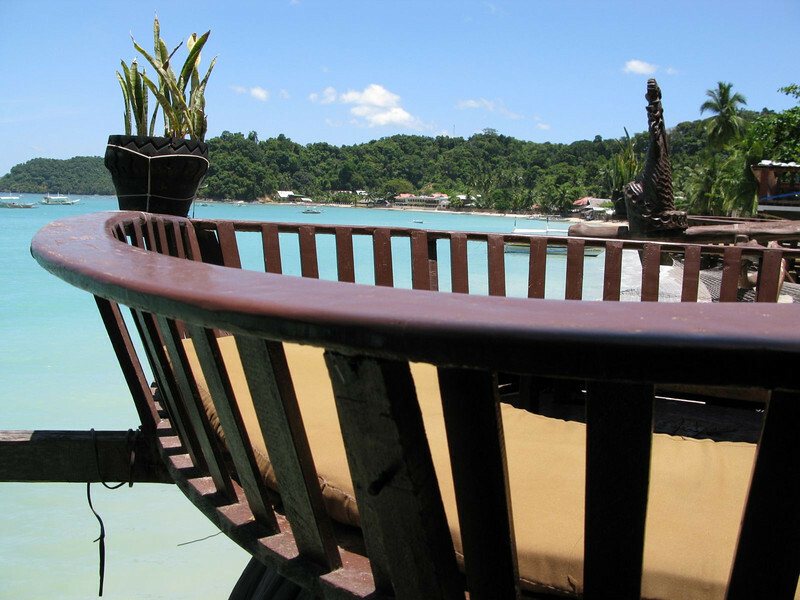 Adjoining the main dining area is a bar topped with a conical nipa roof and – the best part of it all – next to the bar are wooden pathways leading out to 4 wooden ‘nests’ that rise up from the powdery sand below. At night, long after the restaurant had closed and the staff was asleep, I would tiptoe out of my room and into one of the nests, reeling at the stars splashed across the dark sky and the faint shadow of the cliffs looming beside me. What a way to watch the sights. 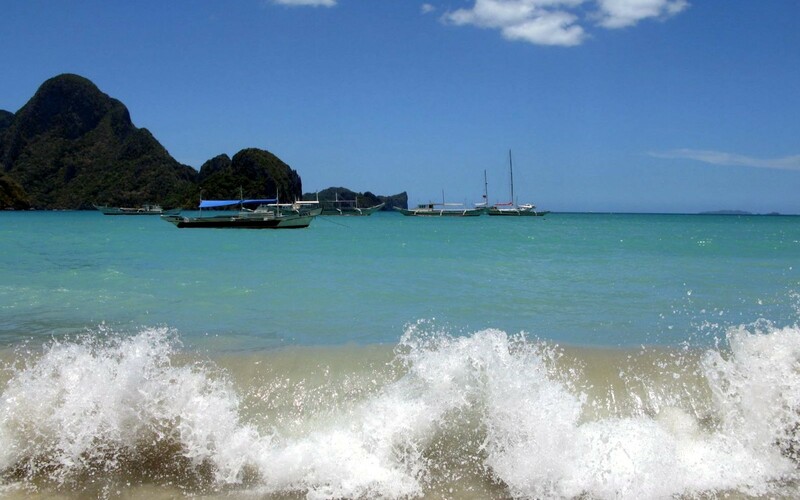 Time in El Nido tends to stay still. I initially planned on spending four days here, but one day bled into the next and I ended up leaving two weeks later, with a firm promise to come back for another few months. Becky is mostly to blame for my return; her infectious laugh and genuine thirst for life beyond El Nido meant that my hours talking with her were some of my best ones here. Outside time chatting with Becky and her family, my days were a hazy blur of island tours, late nights at Balay Tubay (the local live-music bar) and consuming my body weight in squid. I ate so many mangos that I started to dream about swimming in a sea of mango juice. I was invited out to Becky’s private beach on Kudugnon, an isolated part of the peninsula accessible only by boat, and spent a few nights camping out in the open air, my mattress surrounded by chickens, roosters, puppies and a friendly cat named Mikang. Nights on the island were another chance to chat with Becky and her family – brother Levi and son Kei – which is how she initially asked me to come back to The Alternative. Would I be willing to stay and eat for free in exchange for redoing their menu and writing their website? Incidentally, The Alternative also has some of the best food in town, with a focus on spicy main courses, vegetables braised in coconut cream and a dish – Banana Heart Curry – that remains my favourite meal in the Philippines. It was one of the easiest decisions I’ve ever made. To explain why I love it here necessarily requires some detail about the odd hiccups that make El Nido such a wonderful place to stay. For starters, it is very hard to get here. Choices are a flight to Busuanga, followed by a long ferry ride, or a flight to Puerto Princessa, followed by a long bus ride over muddy, unpaved roads – usually resulting in your bus getting stuck and a bulldozer barrelling over to yank you out of the dark red clay. You can fly direct, but at close to 7,000 pesos, most backpackers don’t. 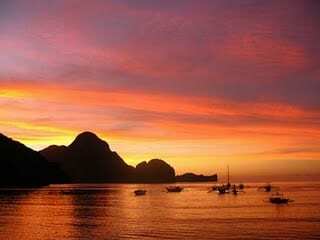 In addition, El Nido has its share of flamboyant characters, interpersonal drama and interesting ex-pats. 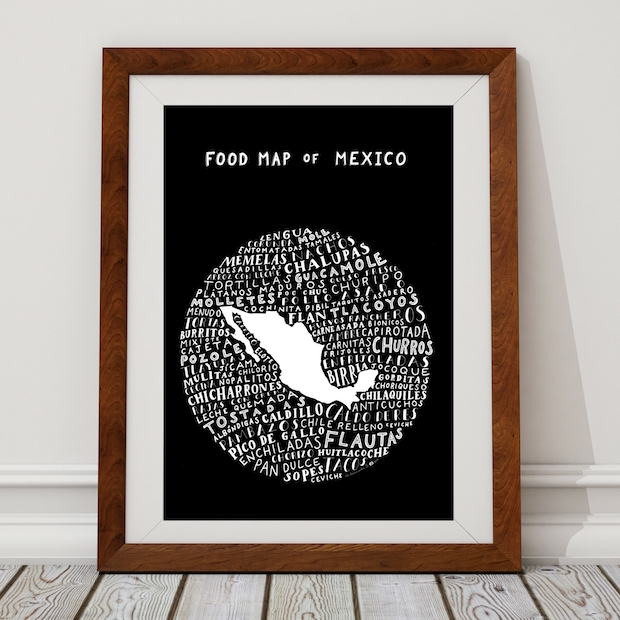 The dozens of hotels and restaurants, each built close to the ground and low to preserve the integrity of the view, each house their share of fascinating people, local gossip and good food. And the town is more friendly than any other I’ve encountered in the Philippines. I get a rousing “Hello Jodi!” from everyone the minute I step out the door. Add to this foundation a roving band of local dogs and chickens, a rotating set of backpackers who also fall in love with this place and a new-found appreciation for the slower, quieter things in life and you can understand why I would come back. Doesn’t get more beautiful than this. 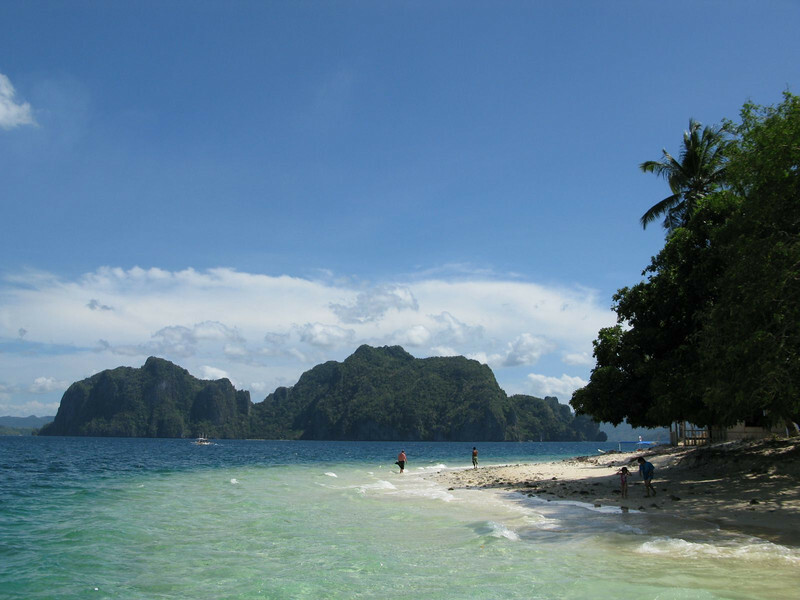 In the end, my return to El Nido has been as laid back as my initial exploration. I do the books for The Alternative in the morning, running through the expenses and income for the prior day. I help out in the restaurant when there are new guests – and as most have been French, I’ve been able to practice mine too. Afternoons are a decadent mix of writing, playing with Alexa (the resident 4-year old), swimming and chatting with the neighbours. Evenings involve working at the restaurant and getting things ready for the next day. I eat most of my meals with the family and staff of The Alternative, perched outside on the wooden tables or around the bench near the kitchen. The staff here – and their symbiotic, flowing existence with one another – makes my time in El Nido even more worthwhile. Most of the staff worked for a posh resort on a surrounding island, until it was bought out and driven into bankruptcy. As a result, they have a rapport that feels like family, and banter pleasantly throughout the day while they go about their jobs. 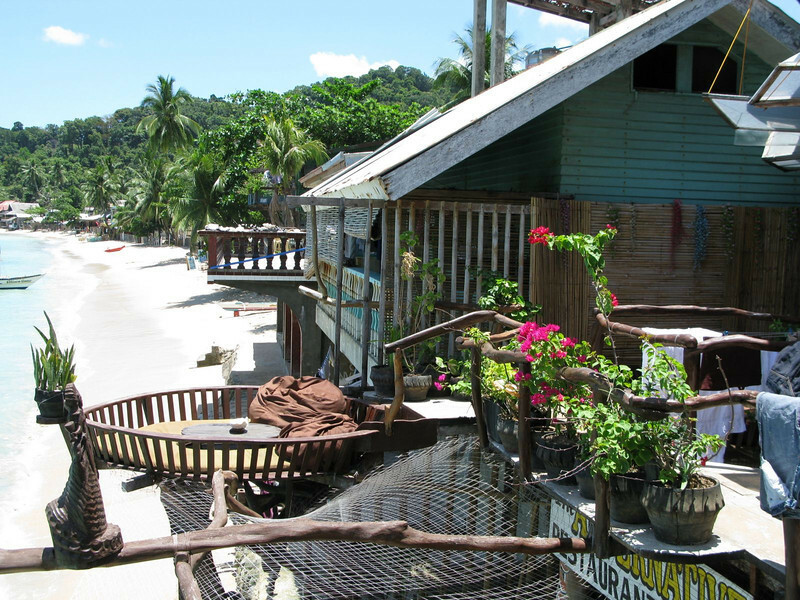 I’ve met some other ex-pats who have opened restaurants or dive shops here, and we often head back to Balay Tubay – or just hang out with a bottle of Carlo Rossi (the only wine worth buying here) and some candles and chat the night away. The people at Midtown Bakery have finally understood that my bi-weekly 2 dozen cookie purchase isn’t actually all for me, but for the staff at The Alternative. And the sweet burger girl at Yummy Angel Burger has stopped asking me how long I plan on staying here. The pictures I’ve taken and used for this post will change considerably as typhoon season approaches. Yesterday we had one of the strongest storms I have ever seen, with the windows flailing about helplessly and water flooding the restaurant and dripping down to the deck below. Today brought no respite – thunderstorms raged angrily from dawn till dusk, and only now (at 9:45pm) has the rain abated briefly. I plan on taking ‘El Nido Dripping Wet’ pictures too, and I promised my brother a video of the typhoon winds – so long as I don’t blow away while trying to record it! Rain or no rain, I feel completely at home in this town and at The Alternative – and it is wonderful to put down my rucksack, unpack my clothes and stay somewhere special for more than a little while. Spoiler alert: I will rant about roosters again. Again, Becky’s beautiful private beach cottages in the same style as the old Alternative you see here. Hi Jodi, I’m originally fr. the Philippines and it KILLS me to say that I haven’t been to Palawan. Back in the 80’s and early 90’s (before we migrated to Canada), this part of my country was still a hot bed for Communist activities, and so we were ‘advised’ to keep away. Now, I’m just so ready to go and explore the country which was home for 20 years of my life. 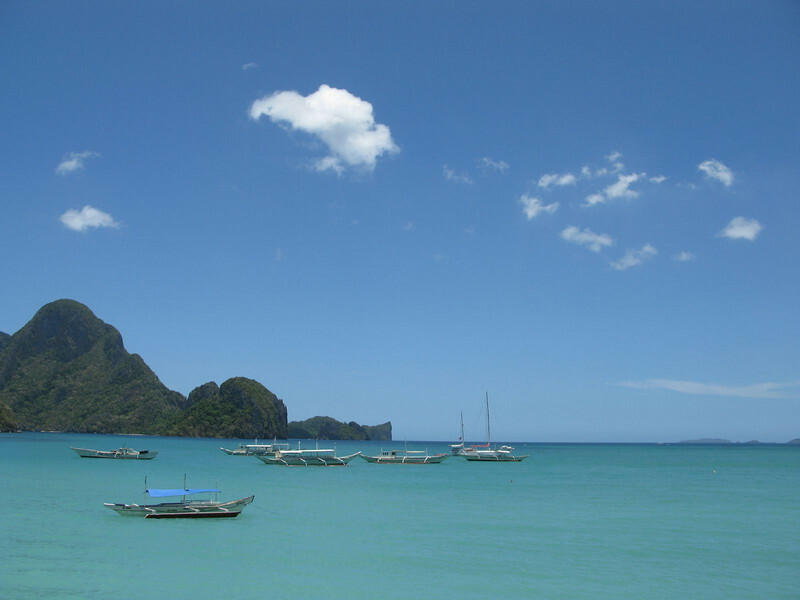 Jodi, you are really making me hungry for the Philippines and El Nido looks like a must see. I’ll definitely be staying at The Alternative!